Nokia 3.1	No ratings yet. Nokia 5	No ratings yet. Nokia 3	No ratings yet. Oppo A5	No ratings yet. Oppo F3	No ratings yet. Oppo F5 Youth	No ratings yet. Oppo F7 Youth	No ratings yet. Oppo A3s	No ratings yet. Oppo A83 4GB	No ratings yet. Oppo A83	No ratings yet. Oppo A37	No ratings yet. 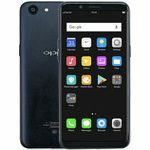 Oppo A71 2018	No ratings yet.